A little hard work can make a big difference to the final selling price of your home. One of the first challenges in selling is realising that presenting your home for sale may require a few changes that aren't always to your liking. Always remember, our goal is to secure the very best price we can for your home so our advice will always be with this in mind. Tidy the garden and cut the lawn. Mulch garden beds and consider some new plants. Pot plants can be borrowed or hired. Clean the windows inside and out. Wipe down exterior paintwork and polish any door handles or window fittings that look dull and dusty. A final pass over with the duster and a damp cloth around light switches to add the finishing touches to that extra sparkle. Hide any clutter and open up rooms with minimal furniture and ornaments. The more furniture you have crammed into a room the smaller the room will feel. Even if it’s not how you’ve been using the room (or even how someone else will be) the feeling of space also gives a potential buyer the ability to imagine what could be done in the room. One big feature such as a large floor-standing vase is better than lots of knick-knacks. Modern paintings can be hired for a week. Match their colours to your décor. A table centre or flower arrangement can brighten the place up. Maybe one distinctive sculpture in the largest room. But remember, no clutter. Cracked light fittings, dripping taps, chipped paintwork, broken tiles. You may have lived with them for years but now’s the time to make all those little repairs. Those little things may seem insignificant to you but they may give a potential buyer the cause for greater general concern about larger maintenance issues in your home. Every home has a distinctive smell. Make sure yours doesn’t harbour nasty odours such as smoke, pet smells, drains, damp or paint. Use aerosols or incense sparingly. Open up all the windows for a few hours before making your final preparations for an inspection. Give it a decent airing! Place scented flowers in a vase or fresh picked herbs in bowl of water. Fresh is what we’re after more than a strong scent that may be offensive to some. Draw back curtains and blinds to let in the light. Leave internal doors open and consider a strategically placed mirror to reflect light into a dark corner. If it is a warm day, turn on fans or air conditioning. Polish wooden furniture a few hours before the home open (or the day before). This will give it a warm lustre without an overpowering smell. Tidy the backyard and consider fresh mulch on flower beds. Mow the lawn and put any toys and tools in the shed or garage. Some homes will have special features such as walk-in robes, distinctive bathrooms or other features. 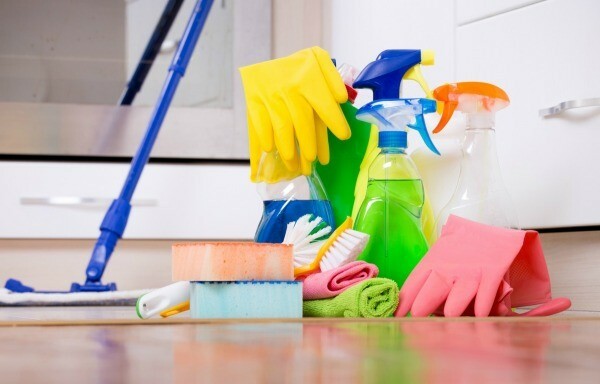 Make sure these areas stand out and are clean and tidy. Before the home open, take a walk through the house looking at details that may – or not impress. Remember, less is more. Especially in kitchens which can become cluttered but need to be tidy and clear. Just before you walk out the door, remember to take your pets to friends or neighbours during home opens and make sure there is no hair on carpets or furniture. Thoroughly clean mirrors, basins and shower curtains. Buy new towels and face flannels to display during home opens. It’s an added expense but one that can be recouped if the sale price is enhanced by the presentation of the property. Finally Koala Blue – like most real estate agents – recommends that the vendors leave the house just before the home open starts. It is an emotional time and unlike trained and professional agents, homeowners are likely to say the wrong thing if confronted by a potential buyer.